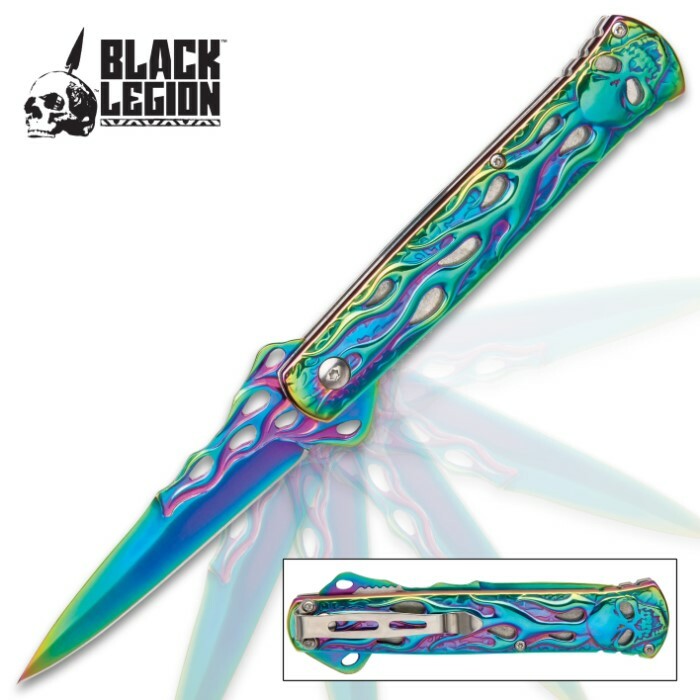 Black Legion Flaming Skulls Rainbow Titanium Pocket Knife - Titanium Electroplated Stainless Steel Blade And Handle, Stainless Steel Pocket Clip | BUDK.com - Knives & Swords At The Lowest Prices! 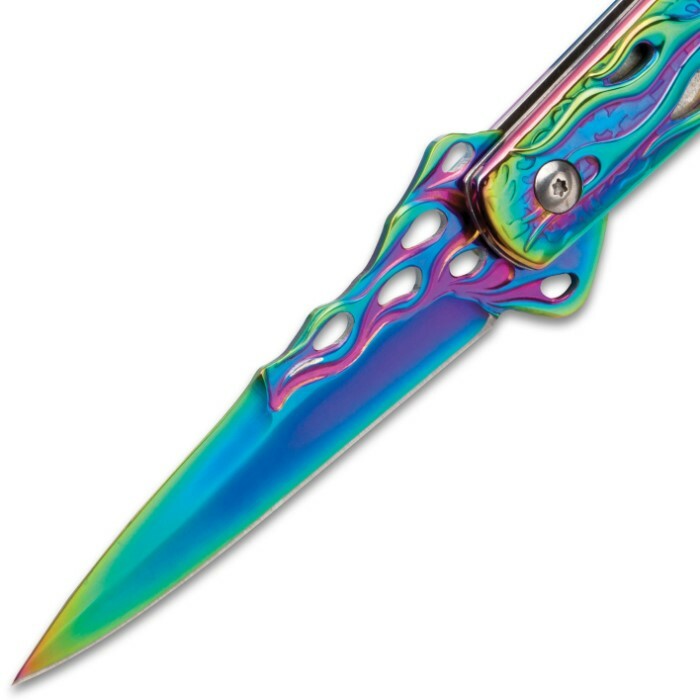 The Black Legion Flaming Skulls Rainbow Titanium Pocket Knife is an iridescent blaze of color and sculpted design elements that fuse to make a head-turning piece of sharp art! 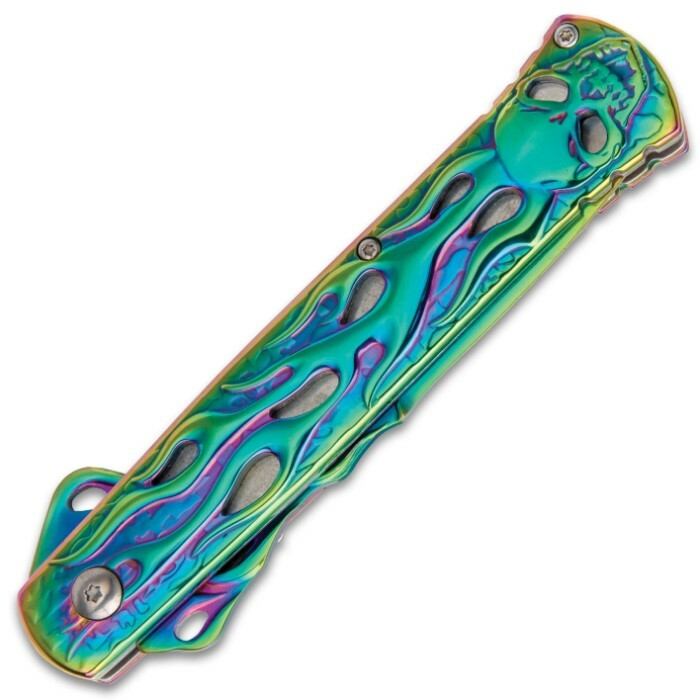 The pocket knife is expertly crafted of titanium electroplated stainless steel, producing a brilliant rainbow color on both blade and handle, which is perfect to show off the cutout skull and flame design of the piece. The razor-sharp blade is 3 3/4” and can be easily and smoothly accessed using a flipper. A sturdy stainless steel pocket clip lets you carry this beauty anywhere. Are you looking for a pocket knife that really makes a statement? Look no further! 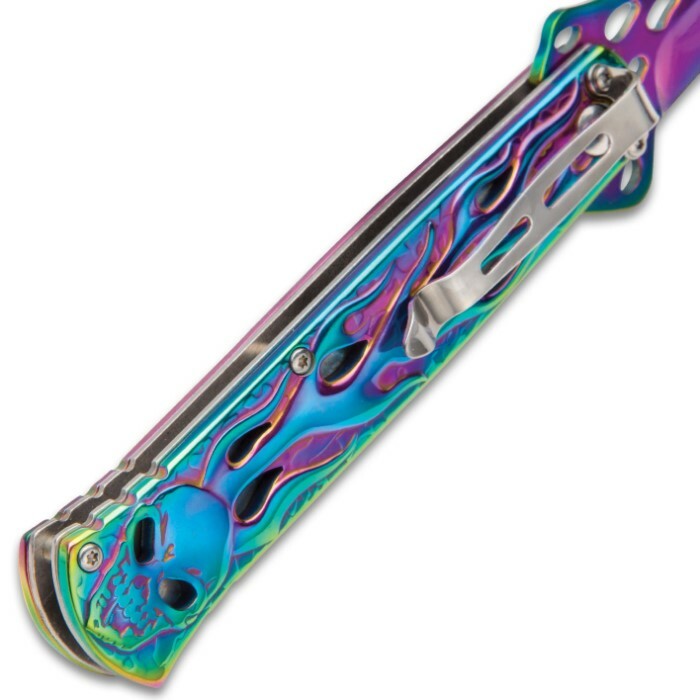 The Black Legion Flaming Skulls Rainbow Titanium Pocket Knife is what you want!